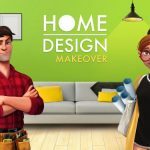 Design Home is a new simulation game from Crowdstar that you can now download for free for your Android or iOS device. 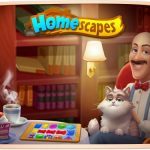 It’s a game for anyone who loves home decorating – designing interiors for your home and bringing your design dreams to life. 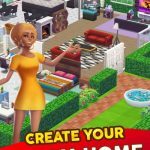 You can shop for the items you like, decorate your rooms in your own style (as the game would allow), and be recognized among the new game’s many players for your creativity. So how does this game work, beyond the interior design mechanic that underpins it? Well, it also happens to be a social title, as other players will be the ones judging your work. You’ll also have to follow certain instructions, as well as stay within your budget and make sure not to run afoul of the restrictions. We would call this one of the more interesting and original new games out there for mobile players, as it takes on a subject that doesn’t get too much attention in a mobile landscape full of RPGs, CCGs, Match 3 titles, and endless casual games. That makes it largely unchartered territory for first-timers. So with that said, we hope you can check out the tips and tricks in this Design Home strategy guide, which covers different topics that could be of help to new players. Your first instinct may be to spend like crazy when you see all the furniture choices. You may want to go for the more expensive items the moment you can afford them. But that’s not really the wisest move, especially when you’re fairly new to the game. You should be working toward improving your star score, and earning more money so you can afford the really good stuff in the game. The game will give you a variety of design challenges, each with their own requirements and goals. You may need to combine furniture items in a certain way, have so many items of one color, etc., but in the end, it won’t be as free-form as the game’s description may make you think at first. You would be able to add your own choice of items, but in the end, meeting the requirements is what’s most important. Keeping this in mind, you may choose to add or not to add these additional accessories, but try to resist the temptation to overdo things. As you’re being judged by other human players, you don’t want anything to compromise your star score. All of the design challenges in the game have their own specific theme. Follow that theme and let that inform your purchases and designs. If you need to create something minimalistic and modern, for instance, leave the heavy leather items out of there, because they obviously do not belong. Likewise, avoid fancy-looking items if you’re asked to create something more rustic in nature. You may, at some points, run out of money to buy stuff, and the only thing left for you to do would be to wait until the votes are in and the judges have made their decision. Make good use of the downtime by voting as much as you could. For each five votes you cast, you’ll get three keys, and you will need those keys to submit designs. That also ensures that you remain a key component in the Design Home community, while preserving the game’s integrity. And speaking of that last note, don’t rush through your votes and pick any room willy-nilly. Make sure you’re voting for your personal favorite, and being as honest as possible! Want to know who’s doing well in the game? Want to know the secrets to their success? Tap on the trophy icon found on the bottom left of your main screen, and you’ll be able to view a list of Design Home’s top players. Look at what these users have designed, and try to pick up their best practices – what do they do right, and what makes their works so popular? Use their techniques, but be careful not to do the exact same thing they’re doing; copying someone else’s work could affect your rating and leave judges unimpressed, after all! Last, but not the least, we would advise you not to rush your way through things, just as we had briefly stated in the other tips. Earning money in the game will turn out to be harder than it is at the start, so patience is key. Regularly playing Design Home also helps; log in to the game daily and collect your rewards. 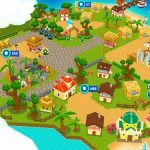 But you don’t have to play the game that regularly; it’s the login that counts when it comes to the rewards, and you may sometimes have to take a break if competing with a world full of virtual interior designers is too much pressure. And this ends our guide for Design Home. In case you know other tips for the game, feel free to drop us a line in the comment section! You give some great hints, especially checking in each day to pick up your rewards. But that takes discipline, because the game is SO addictive. And you’re right, it’s not really a game, it’s more a creative practice. It has so much potential to just go viral, except that the makers have clearly gone out of their way to “fix” things so that you will have to buy diamonds. While you win items with designs, those items are often things you seldom use – like beds and crooked shelves you’ll never be able to use. Or they will require an expensive item in the room that you couldn’t buy without investing in more diamonds. If you look at the reviews, you see that people love the game, but often feel taken. So my hint is to play in moderation, and if you have to buy diamonds, give yourself a monthly budget. Thanks for your hints! SO TRUE!! Some of these rooms are either blan or thrown together with what they have left in their inventory. There are other rooms that are far more impressive but the score given was entirely too low. So true! Once I clicked enter by mistake on an incomplete room and i felt so bad! But when the results came in, that room got 5! I put my heart and soul into other rooms and they get 4 and sometime even 3.5!! Judging is definitely not fair. And they are making it almost impossible to play without spending real money for diamonds and cash. It’s very frustrating. I love this game but afraid I’m going to quit playing , it’s no fun when you can’t afford to design a room because they are requiring items that are top dollar. And your daily bonus isn’t enough for a lamp. And the free items they give you when you start should stay free!!! Where do the items I buy go? I should have a decent inventory but everything does not show up. Also, if I win prizes, where a ‘re they? Question not answered yet: In voting, is it better to choose the equal icon in the middle when you do not like either room choice…OR…to choose the one you dislike the least? How does that effect your score, if at all? I tend to choose the “=“ sign if I think neither room is worthy of a vote. However, if one is absolutely horrendous (no rug, whacky colors, mismatched or no artwork, out of proportion or mismatched furniture, etc. ), and the other choice is not a good design but not totally horrific I will give them the vote….I figure it’s good karma, because while maybe not everyone thinks MY design is fabulous (even though I’m always certain it is! ), I would hope people would vote for my design over one that was so clearly thrown together with leftover mismatched, ugly inventory. I will say that I typically end up using more “=“ votes than choosing one design, but that’s because so many of the designs they put up for voting are just really, really bad! The equal sign leaves the player’s score as is so if I don’t like either I hit the equal sign. It’s almost like a neutral vote. I actually do the same when I can’t decide on one of two fantastic designs! I wish there was a comment section for the judges to say what was wrong with a design. I have tried to figure out why one room gets a 5 and a similar one a 3, but some are just baffling. A lot of the time ppl dont do what theme is asked, for example it will say that the homeowner wants grey and white but ppl will have blues and reds yet still get a 5. Whats up with that? In the case you mention, you don’t have to buy a pink piece of furniture, as such. You can design with all white furniture and add 2 lamps which are white/pink or a pink rug . That’s how to get around the brief – by applying the design criteria to inexpensive and less important items within your design. I just completed a design that said to use 4 grey items. I used 2 grey side tables and 2 grey lamps all the rest of the furniture I used was not grey at all! I want to k ow what I can do with cash, I have 15000 dollars and try to buy something and all I can spend is with diamonds. What’s the rules or more importantly why can’t I spend cash and only purchase with diamond’s? It will tell you to get cash and if you hit that button it turns your diamonds into cash. It says: you do not have enough cash and if I remember correctly it says get cash – then hit that and it converts. Help! What if I was just working on designing a room, when the time ran out. I did not get entered. But my money and diamonds I was using are gone. Will they return or did I just lose a bunch with nothing to show for it. Has anyone tried to enter with only one hour left and lost the race to enter in time? Thanks for your help in advance! There seems to be no rhyme or reason to designs that earn a 5, other than they are usually black or blue. The style can be totally off, i.e., modern furniture in a Tudor, a blue and white coastal checkerboard in an elegant dining room, eclectic furniture in what is supposed to be a Parisian themed room. I keep seeing designs that scored a 5 where people used the same artwork 3 times in the same design. The colors and shades don’t have to match, blue modern rug, lime green couch, purple chair and brown rustic table with coastal artwork? As opposed to what the object of the design is, people just seem to vote for varying copies of the same design again and again. It’s fun, but you will not learn a thing about decorating. Just started playing and noticed the trend…. top designs that get 5’s are usually monochromatic. I’m enjoying designing rooms with color and getting scores in 4+ range. Blogs suggest learning and mimicking high-scoring designs. But it’s just a game and not an HGTV reality show competition, so why not design what you like? I did buy a starter pack of diamonds and dollars, cost about the same as a trip to Starbucks and I’m having fun. Don’t forget the free money for watching videos and taking short surveys. I’ve noticed top scorers have purchased & used all the optional accessories in each Surely this can’t be coincidence? I’ve had a couple of 5s myself, but only when I’ve completed the design using all optionals too. I’d like to know how many times each design appears to be voted and which other designs is confronted with. I love the game but money restricts designs a lot. Great comments! You guys have all read my mind . How can we get an answer from Crowdstar about the voting process? All of your posts are so true, I’ve looked at some of the designs that get high scores and some of them are absolute crap. I guarantee you it’s the three-year-old that picks up their mom’s phone and starts putting furniture in the room because it’s fun, then they get a better score than I do!?? What the heck? There is clearly something going on that is not fair in the voting process. And I also get the feeling that the true designers lovers on here DO CARE about their score, and many have probably purchase diamonds with their own money. (I mean if you use this as a form of your entertainment, two bucks is not a big deal every once in a while.) and because of this I’m sure that crowd star is making a shitload of money from this app! A solution would be that if the app gave you more information like the number of players entered in the challenge. How many times did your room get voted on? How are the designs paired up against each other? Is my design paired up with that same design through the entire voting process? I want some answers! There has got to be some formula that the app uses to pair designs. I stumbled upon this one day… When you have entered a challenge, scroll down on the page where the challenges are and find one that you entered. Click on it and it will say “about voting”. It explains everything there is to know about the voting process. This is the only place I have ever seen that much detail about voting. The problem I see with voting is the theme of the room is not available when voting. When I am voting on a room that I don’t remember what the theme was, I can only vote based on my preferences. The theme should be available when voting so maybe this will influence the votes and possibly enforce following the theme in order to get a better vote. Always play the daily. You will earn more than you will spend, if you’re paying attention to cost. Don’t spend diamonds on anything but decor. Everything else can be bought with dollars, but a room with no decor is unlikely to win. Monochromatic designs and greyscale seem to be the most popular. Voters don’t look as intently at the pieces as the designer, it is a good idea to put down your phone for a couple of minutes and then give the room a quick glance to see what works. Don’t waste expensive pieces where they won’t be seem. If a table is hidden behind a sofa, put the cheapest one you can get in there, or an ugly one you have held too long. Do a cost analysis of the room. Each piece can be used 5 times, so the cost of each piece going into your room divided by 5 gives you the cost to make the room. Obviously prizes are going to make the difference. Don’t play every challenge unless you want to spend real cash. Check the prize before you play, you don’t want to waste your resources for something cheap. Always play the series, the prizes make it worthwhile. There should be a place to sell off items that are not wanted. Why do I have to keep re-buying inventory that I’ve already purchased??? I’m so confused! I don’t understand how a level 28 designer is using table art or plants that are available only to level 32 or 49…can someone explain this? Does anyone know if designs being voted for are of equal level, ie does a level 1 go against level 10 designer? I agree. It would help me vote more fairly. Hi. I accidentally accepted a challenge. How can I get out of it?